It is completely handmade not mass-produced. You can only get one glasses in the world. It takes more than 3 days to produce one. There are two major ways to produce wooden glasses frames. the remaining design is to think while making it. and color are never uniform. "beautiful design created by nature". processes are handmade by experienced spectacle craftmen. It takes at least 3 days for a single wooden glasses frame. It is a natural color that is not colored all. You can choose from over 30 "precious wood"
beautiful wood grain trees, ragrant wood, etc. to natural materialswith different facial expressions. in recent years,Many materials are skyrocketing year after year. More than 30 precious woods carefully selected from all over the world are materials. 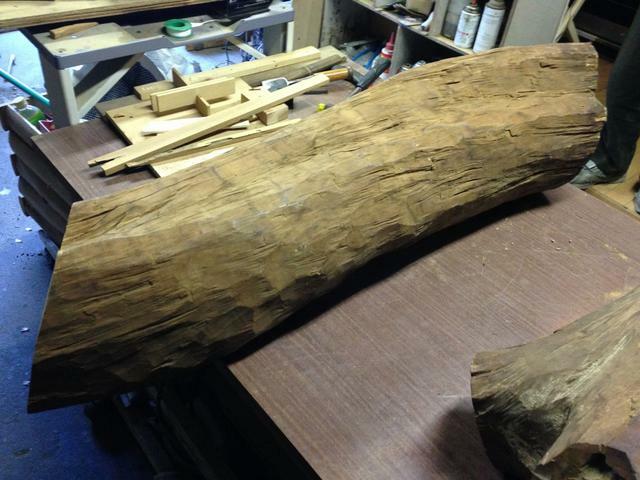 From the material of natural wood, we carefully selected only precious wood trees, such as "Hitotsuwa beautiful wood grain", "color" "fragrance" and so on, to craftsmen themselves and adopt carefully selected precious trees. Every single piece, made by hand shavings, it is a craftsman who views grain most importantly, but because it is a natural pattern, it is also difficult to line up the left and right temple patterns, so there are so many lossy materials It becomes an extremely luxurious gem. Even skilled craftsmen make it as eyeglass frame, made with many wood and repeat failure, some of which are deformed or broken in the final process. It can be said that it is an extremely perfect wooden frame among wooden frames made by other companies that are generally on the market. When purchasing precious trees, it is often said that "When you were there, you bought", it is often sold out after a week if you are lost. For example, it is the probability that it will go over with a wonderful antique in Antique City. Therefore, I think that the same thing can be said for precious frames. * Since the pattern selection is extremely difficult and the price is subject to fluctuation, the price may fluctuate without notice, especially with special patterns (snake wood, sham persimmon etc) and sandalwood (sandalwood) please note that. We manufacture from about "precious trees" of about 30 kinds carefully selected from all over the world. Red trees, black trees, beautiful wood grain trees, fragrant wood, etc. 1 I think that you can enjoy the texture unique to natural materials with different facial expressions. ※ Precious wood is beautiful color and wood grain, the material is particularly excellent, the growth is also slow compared to wood in Japan, so rarity is also high, there are also types that export is restricted in the Washington Convention in recent years, The number of materials that are rising every year is also increasing. The choice of patterns is one of the craftsmen's attention. n selecting materials is "select pattern (wood grain)". or colors are made with tables or the like. while imagining the design to produce. 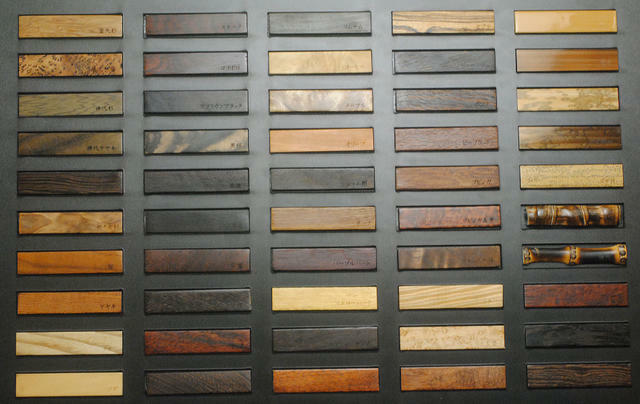 kyara, yakusugi, rosewood, etc.are generally well known. in scent at the production area and parts of the tree. is more fragrant than the part around the tree, and the scarcity is high. and its sustainability is said to be 1000 years. in precious trees, and now it hardly circulates in logs etc. It is hard enough not to be scraped with a thread saw. Using a large machine, we will do wood thoroughly. There are differences in the grain depending on the method. into plate shape or member. and cut various machines according to part. and we will complete it. There are unusual woods in various parts of the world, such as colors and patterns, and fragrant trees inside. We select carefully only materials suitable for spectacles from among many kinds. It is known as a high class scent. The scent has a calming effect on the human spirit, also called sandalwood or wolfberry. This is what it means that "wrapper is better than Futaba". This is a typical fragrance that feels aroma by burning, but sandalwood is so called because it smells as it is. As the Indian government is currently in danger of extinction, the Government of India has been restricted by limits on felling and limiting exports, and the prices of sandalwood products are tremendously rising year after year. Origin is India, Indonesia, Australia etc, but we select carefully selected "senior sandalwood" produced in the Mysore region of India which is considered as the highest quality fragrance among them. 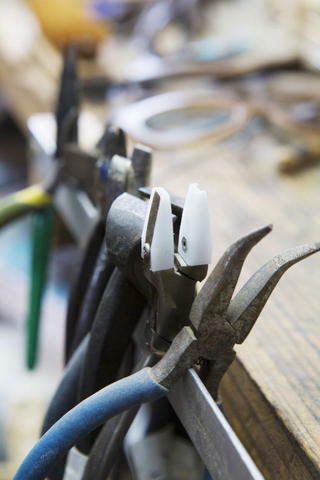 As materials for eyeglass frames, materials can not be processed unless they are of a certain size, so it is extremely difficult to obtain materials. Also, as materials are imported many decades ago, there are many cracks and cracks, but as prices are traded by weight, etc., it is also true that losses are very large in eyeglass frame processing . The royal scent of sandalwood is said to smell more than 1000 years, as Buddha statues etc in "Shosoin" scents even now. Main Place of Origin: India, Indonesia etc. Main application: Buddhist images, Buddhist objects, beads, folding fan, sculpture materials of art objects, incense scenting etc. It is extremely hard, has a semi-permanent durability, is not easily attacked by fungi and insects, and is highly evaluated as a representative of Karaki ※ 1 from the viewpoint of good drying property. Skin eyes are extremely fine, smooth and shiny, and are generally classified into striped striped ebony, generally black black material. Main Place of Origin: Indonesia etc. Main application: pillar, Buddhist altar, sculpture, high-class building materials, high-end furniture, high-class stick etc. Color: Stripe Ebony is near striped pattern of black persimmon and has band yellow striped pattern. If ebony is the grandchild of the east, this material is listed in the west yokozuna. It is said to be the flower of Karaki ※ 1, its beauty, rugged material feeling is the most famous wood of all ages regardless of the times. The skin is fine, rather rather irregular, the grain intertwines deeply, it is very dense, shiny and gives a graceful impression. It is heavy and durable, and it is used as a main material in China when building a palace. Main place of origin: Thailand, Laos, Vietnam etc. Main application: Buddhist altar, furniture, artistic figurines etc. Also known as Indian Shitan, it is also called Nara, Padouk, New Guinea Rosewood, in English, it is called Rosewood same as Rosewood. It is totally different kind from Karin, commonly known as rose family tree and flower tree. 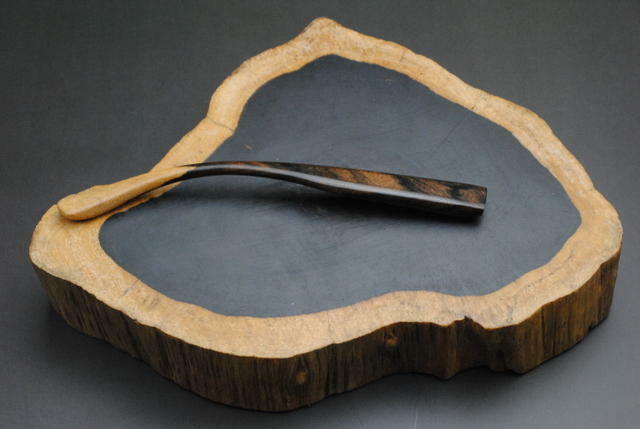 Wood is heavily polished to give a shiny appearance, the eyedropper is as beautiful as a sandalwood, and it is used as a substitute for rosewood and ebony. There is only part of the base of Karin, precious wood rug heather is very beautiful. Main Place of Origin: Thailand, Burma etc. Main application: pillar, joinery, furniture etc. One of Karaki 's three biggest precious trees * 1. It is hard material anyhow. It is hard to cut with a saw. It has a texture similar to plastics because it has a profound feeling of sinking in water. Main place of origin: Thailand, India, Myanmar etc. Main application: pillar, floor frame, decorative material, furniture, beads etc. Color: A dark brown band runs a tan belt in parallel. It is rare in ebony which is high class lumber (one in tens of thousands of books in one thesis), it is called Makuro because it is just black like charcoal. Eyeglasses made in black are attractive, looking, feeling when you have them, and any gravity are very attractive, and something like an aura that presses others comes out. Main place of origin: India etc. Color: There is a black striped pattern and a little purple. Shamukaki (kurogaki) wa, fureijo, shirikote to shōsa re, gensanchi wa Mekishiko oyobi chūō Amerikadesu. Kokusan-zaidearu kurogaki no zai ga kokatsu-ka shite iru tame, sono dai yōzai to natte imasu. Saikin wa shinausu de Tai (shamu) kara hairanaku nattanode, Chūnanbei kara Chūō Amerika ni bunpu suru ki o shamugaki to yonde imasu. Kōdo wa kiwamete omo katadeari, masame ni shima ga hairi baburu moyō o kakimasu. Kin'itsu mokushitsudenaku kōsa mokumenanode kakō wa kon'nan o kiwamemasu. Shiagemen wa heikatsude utsukushiku, kaki tokuyū no ita mokuto wa chigatta kujakumoku to iwa reru moku ga tokuchōdesu. Sham persimmon (black persimmon) is called Flejye, Silicothe, the origin is Mexico and Central America. Because the material of black persimmon which is domestic material is exhausted, it is a substitute material. Recently I was short of throwing away from Thailand (Sham), so I call the tree distributed in Central America from Central and South America as Shamghaki. Hardness is extremely heavy, and stripes enter straight grain and draw a bubble pattern. 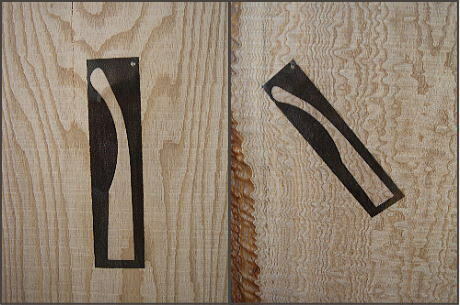 Processing is very difficult because it is intersection grain instead of uniform wood quality. The finish side is smooth and beautiful, and it is characterized by a heather which is said to be a different peacock heather from the persimmon peculiar plate. Main place of origin: Mexico and Central America etc. Main application: Ship interior, pillar, beads etc. Color: It is a pattern that stripes are very characteristic and the peacock spread wings. The wood grain strikes vertically and features rough grain. It has high strength and is widely used for structural materials. Shimmering eye appears, heavy duty, rich in toughness and elasticity. Tamo boasts a distinguished presence among hardwoods, also praised as "the queen of Shiroki", its mysterious beauty does not change even if it becomes a material. Main Place of Origin: Japan, Russia etc. Main application: Construction and flooring, counter / bench table top plate etc. It is native to rice tropical regions and Guiana. It is extremely heavy (hard) as wood and it is so heavy that it will sink with water even if it is put in water. It is now called snake wood and letter (letter) wood because the appearance of heartwood looks like snake skin and hieroglyphics. Snake wood called "wooden diamond" or "wooden gem" from the hardness and the beauty of wood grain is a precious wood which is the most difficult to acquire, only four to five wooden trees are circulated in the market every year. Also, it is said that the more detailed and uniform the pattern is, the more beautiful it is, it is circulated without being sawn to the standard size, price is precious and expensive so that the price is determined by the beauty and fineness of the pattern. Main Place of Origin: Guiana in South America, Brazil etc. Main application: Violin bow and archery arrow, stick etc. Origin is very hard material from Latin America and South America. The surface peculiar to rigid materials is shiny, the color tone is brighter than rosewood, the reddish tone changes depending on the viewpoint, and the wood grain changes depending on the angle It is a very unusual material. You can enjoy different pleasures from domestic trees. Main Place of Origin: Latin America / South America etc. Main application: Billiards cue, decorating knife grip part etc. Originally it is a gray tree, but when it is cut and it touches the air, it turns into a colorful purple. Main Place of Origin: Latin America etc. Main application: High-end furniture and inlay work etc. It is also called Huang Shaoyong, Paoamarero. The wood grain is somewhat large, but hard and shiny, in addition it is excellent in durability. Main Place of Origin: Mexico etc. Main application: Billiard cues, musical instruments, sculptures etc. The material exhibits a pale golden color and has a dark brown stripe pattern like a giant horse (zebra). 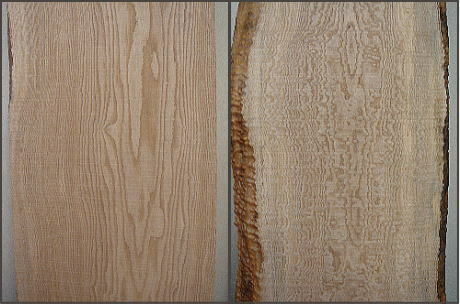 The woody material is heavy, the woody is intertwined and has beautiful wood grain. Main Place of Origin: Africa etc. Main application: furniture, wall, floor board, musical instrument etc. Color: light pale brown to light yellowish brown with dark brown stripe heather. It is said to be silky oak · racewood · sharkwood. The scaly wood grain is a radiological tissue spot, which is called a tadpole of a fish. Because this tree is hard and durable, often a boomerang is made. Main place of origin: Australia etc. Main application: Instruments, knife handle etc. Color: peach color ~ reddish brown color, sapwood is light color. Known as a substitute tree of the iron sword tree, the somewhat rough and straight striped pattern has a different modern charm from the iron sword tree. Main place of origin: Southeast Asia · Africa etc. Main application: High-end furniture, cabinet, seat table etc. Color: There is a dark brown stripe on a pale yellowish brown ground. Rare material of natural forest of Yagakima in Kagoshima. Originally it is not cedar only if it is 1,000 years old or older, "Yakusugi" is not said, and those whose age does not reach 1000 years are called "Kosugi". It is blessed with an annual rainfall of 4,000 mm to 10,000 mm per year that Japanese cedar southern limit is Yakushima, cedar which is generally said to be about 300 years old at its southern limit, becomes cedar of 3000 years longevity It is attributed to the special natural environment of Yakushima and the characteristics of Yakusugi's resin. The foundation of Yakushima is granite with little nutrition, and the growth of cedar is slower than in other areas. Then, the width of the annual ring becomes dense and the material becomes hard. Currently, logging of Yakusugi is prohibited. Main application: furniture, fittings, ceiling board etc. Color: brownish. There is rarely known as Tamashi, there is very rare value. It is called red trees Rosewood, and was conventionally honored as the best material of the shamisen pole from the old days. This wonderful material was exported to Europe for the purpose of taking dyes and the accumulation amount became extremely small, and it is a rare and valuable precious tree not entering Japan for over ten years. Recently, afforestation is also beginning to be done, but it is not a "natural color like" crimson color, but a light color. Color: Pink. There are rare worthy riders such as Chijimi heather. The diameter of the trunk reaches 1 m or more and the tree height reaches 25 to 30 m.
Although Japanese cypress drums have been used since ancient times in the Japanese drums of Japan, in recent years it has become impossible to collect large diameter trees, so this bubingga is used as a drum for Japanese drums instead of.. Recently it has become a scarce material due to export bans by major producing countries. Main application: Japanese torso drum, counter material etc. Color: red to pink brown. Rarely there are rarity values such as Tamotsu. It belongs to the palm family in the hardwood's nested group, and it is classified as a plant, not a timber. Same monocotyledon as rice and bamboo. Seed has been used as a chewing tobacco as a luxury item, has been loved as an exclusive luxury goods since ancient times, and Sako and Kimma are a symbol of a couple, and even now in India, Vietnam, Myanmar etc. at the wedding ceremony There is a custom to give to customers. Main application: High class stick, floor column. Fruits are luxury goods. Color: Black, brown and unique pattern. The heaviest tree in the world that sinks in the water. "Lignum Vita" is a Latin word meaning "Tree of Life", the sap of this tree has been traditionally effective for all kinds of diseases, and it has been traded at a very high price. The greatest characteristic of this wood is the beauty of secular change. The brown wood changes to vibrant dark green with the passage of time. Main application: stick, bowling ball, ship etc. Screw bearings. Deciduous broad - leaved trees of the walnut family. It is counted as one of the world's three largest precious trees with teak and mahogany. It is also used for high-end furniture, piano, violin, shoots, etc. from old days because of the color of wood skin, the beauty of wood grain, the texture deeply faced with time, moderate hardness and strength. The color shine is increased enough to wear and the deep taste comes out. Rare shrinkage heather, rumps are rare. Main Place of Origin: USA, Africa etc. It says the settlement (sinking in water) such as ebony, rosewood, iron sword tree, etc. In the old days it is beautiful, relatively hard, heavy, durable It is said that it was supposed to be called Karaki as a generic term for wood with high rarity value.